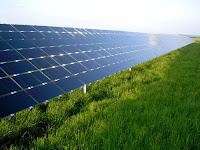 Solar Grid Parity by 2015? Here's an interesting article from the WSJ on health care reform. Examination of the graphic below highlights one of the key problems with the current system. The center graph plots the share of costs paid by three parties; the taxpayer, private insurance, and individuals. From 1970 to now, the individual's out of pocket costs have declined from over 30% to around 10%. Now if costs of a good or service are paid by "somebody else", how does that effect your use of said product? The price signal is severely altered, and thus the system does not have efficient feedback for optimal allocation of resources. Never mind that the "somebody else" may ultimately end up being you again with higher taxes and/or deficits and/or inflation and/or insurance premiums. Bottom line, someone is picking up the tab. I certainly am no expert on health care, but it seems to me if much of this disconnect was removed the system would function better. Shifting around who pays for care will not fix anything. The underlying reasons for escalating costs must be addressed. Joule Biotechnologies has announced what could be quite a revolution in 3rd generation biofuels. They claim to have created a process using engineered microorganisms that can convert CO2 and sunlight directly into fuel. This eco-friendly, direct-to-fuel conversion requires no agricultural land or fresh water, and leverages a highly scalable system capable of producing more than 20,000 gallons of renewable ethanol or hydrocarbons per acre annually—far eclipsing productivity levels of current alternatives while rivaling the costs of fossil fuels. They claim to be able to one day compete with $50 per barrel oil and are forecasting commercial scale ethanol production in 2010. Liquid fuel technology will continue to play a pivotal role in transportation until battery technology is radically improved. If able to scale, this seems to be a great way to keep downward pressure on fuel costs, recycle CO2, reduce our reliance on foreign oil, and perhaps export technology and clean fuel around the globe. Here's an addicting little time-waster of a game. 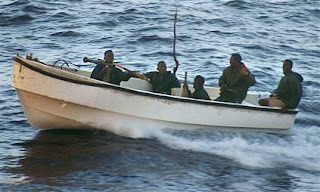 In "Cutthroat Capitalism", you play the role of a up-and-coming Somali pirate. Hunt down unsuspecting ships and negotiate the release of hostages. Apply just the right tactics and keep your crew happy as you bring home the booty. Disclaimer: I dispute any definition of capitalism that would equate it with piracy, larceny, or robbery. This would be a contradiction in terms. The game is still fun, though. Anne-Marie Sakowitz: Do you know that you just charted us on a course through unprotected waters? Steve Zissou: Yeah, we're taking the shortcut. Anne-Marie Sakowitz: But it's outside I.M.U. jurisdiction. There isn't any protection. Steve Zissou: I know, honey. Look at the map. We go your way, that's about four inches. We go my way, it's an inch and a half. You wanna pay for the extra gas? perhaps the erin andrews PEEPHOLE video is next. Ed. 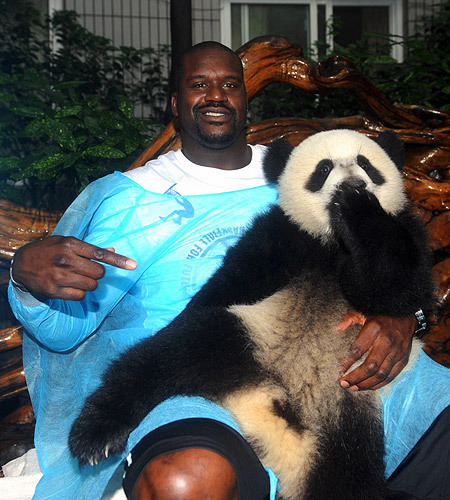 See original concept for the Shaq and Panda pic. "I have a right to my life, and my liberty, and to keep the fruits of my labor." By 2015, two-thirds of the U.S. will have achieved grid parity, the point at which electricity generated from photovoltaics is equal in cost or less expensive than grid power, an analyst said Monday (July 13). At that point, solar power will be no more than 5 cents per kilowatt hour more expensive than grid power for 99 percent of the country, according to Travis Bradford, founder and president of the non-profit research group The Prometheus Institute for Sustainable Development. Speaking to a packed ballroom at the Intersolar North America event here, Bradford said the combination of falling photovoltaic system costs and larger government subsidies juxtaposed against the rising cost of grid electricity means that the U.S. is "rapidly approaching grid parity." Bradford said solar in the U.S. will get a big boost from economic subsidies as part of the financial rescue package enacted by the U.S. last November and from the huge fiscal stimulus pushed through earlier this year. I certainly hope one would not include subsidies in a calculation to show how economically competitive a technology is. Not to mention that 5 cents above grid power is around 50% more in most locations. Hardly what I would call "parity". I did some rough calculations last year for PV solar on my home and it was approximately three times as expensive as grid power. I certainly hope new technologies and manufacturing processes can bring grid parity as soon as 2015; just color me skeptical until then. Combined heat and power (CHP) technologies are not new, but Cool Energy claims to have provided some innovation to increase efficiency. 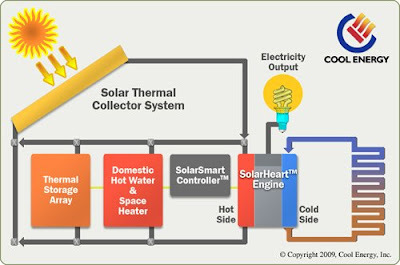 The main innovation to the SolarFlow System is Cool Energy’s proprietary SolarHeart™ Engine, a low temperature Stirling engine which incorporates advanced materials to most cost effectively convert alternate heat sources to electricity. The SolarHeart Engine also has applications with geothermal and waste heat sources of low to mid temperature heat. The SolarSmart Controller™ uses intelligent control algorithms to maximize owner savings based on the temperature, time of day, weather, season, etc. It also factors in the prices of electricity and heat to determine which energy source will provide the most value to your home or business at any given time of the day or year. Cool Energy is currently building its third-generation engine prototype for a pilot SolarFlow installation planned for the summer of 2009 at a public facility in Boulder, Colorado. More details on this installation will be made public soon. This will be an interesting development to watch. Any technology that can compete head to head with conventional fossil fuels will have the ability to make a large impact in the future. That neutral valuation suggests the stock market is likely to resort to its long-term average of 7% annual gains, Shiller says. That sounds great, but the famed professor isn't forecasting that outcome due to one major caveat: The economy is in a "precarious state" and, should it stumble anew, the stock market "could go down a lot," he says. Another look at the "crash of 08" by Jeffrey Miron. Because housing prices have declined, some people and institutions are worse off. Maybe it’s the first bank in the chain that takes most of the hit. Or maybe the first bank passes some of the hit along because of its counter-party claims to some other bank. But that hit has to be taken. And in the U.S., it was a big hit indeed—plausibly several trillion dollars in housing wealth. The size of that loss doesn’t demonstrate a spillover effect; it just shows that somebody has to experience the loss that the economy has already taken. The fundamental problem underlying the financial crisis was government policy. Instead of undertaking enormous new policies, we should try to fix or eliminate bad policies and focus on efficiency rather than redistribution. Doing nothing new and simply working with pre-existing procedures would have been much better than anything we’ve done so far. 1. an ancient form of divination, using a rooster to select grains of food placed on letters of the alphabet. With the passing of H.R.2454 (a.k.a. Waxman-Markley or the American Clean Energy And Security - ACES - Act of 2009) and the subsequent ongoing debate in the Senate, I thought I'd jot a few thoughts. - "My fear is that a solution that is effective, equitable, and enforceable is simply beyond the global community's technical and political ability." - How will compliance be verified? - What type of costs and economic inefficiencies will verification schemes add?